Asher Mains is a representational, figurative painter from Grenada. 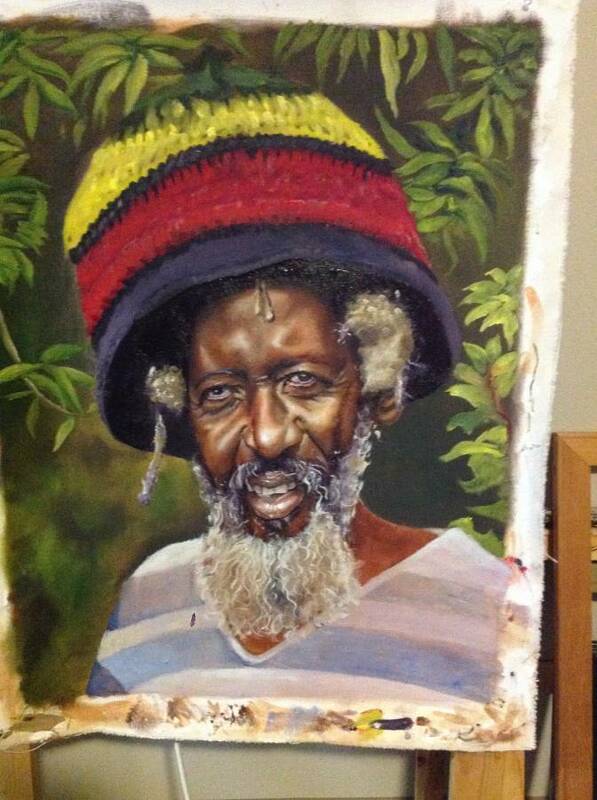 He has been making and exhibiting his work extensively throughout Grenada and Barbados for over 20 years. Drawing from references in art history, West Indian traditions, and urban street art, Mains often incorporates found objects and symbolic materials into his paintings to tell a story about Grenadian culture and the environment. He is represented by Art and Soul Gallery and is currently an MFA student at the Transart Institute at the University of Plymouth, UK. 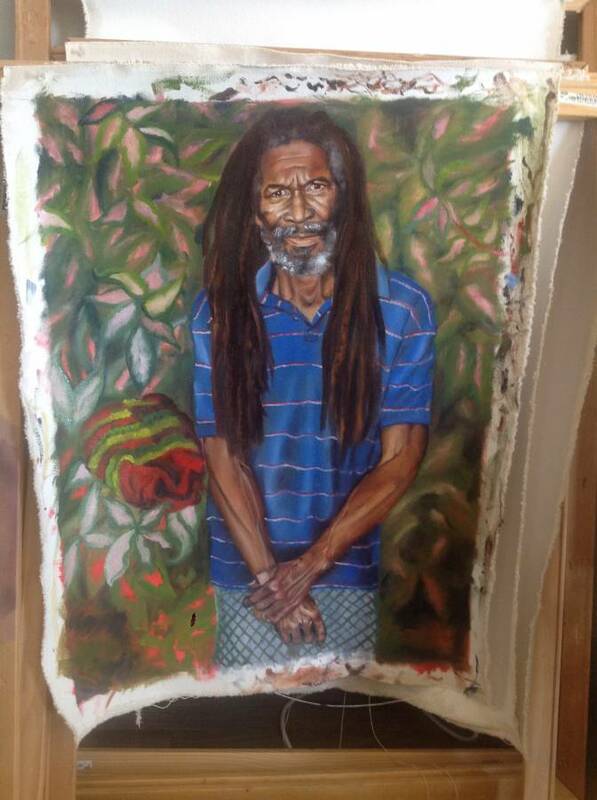 In his current project, Mains will be painting the portraits of cocoa farmers throughout Grenada, and giving these paintings back to the farmers. His aim is to create a dialogue via portraiture about the significance of agricultural workers on the island. Agricultural work, along with the worker, is often overlooked. Mains wants to bring awareness to this group of people and elevate them to a level of importance not often associated with manual laborers. Historically, the people represented in paintings are those seen in society as having status and who can afford to have their portrait painted. With this project Mains is initiating a conversation about the social gap that divides who art is made for and who owns art objects. I talked, some more with Asher Mains about this project and asked him what drew him specifically to agricultural workers in Grenada. “Art for social change is a concept that has been developing in the art world over the past fifty years,” says Mains. He has always been interested in people and interactions; he completed his undergraduate work in intercultural studies, and subsequently delved into international political economy with an emphasis in development. Expanding on this interest, Mains’ artwork speaks to “relational aesthetics,” a term coined by french art critic Nicolas Bourriaud. In “relational aesthetics” what is considered “art” is shifted away from the art object, and emphasizes the human relationship to the object and it’s social context as the art itself. Mains’ current project is less about his portraits as the center focus and more about facilitating a positive social effect.